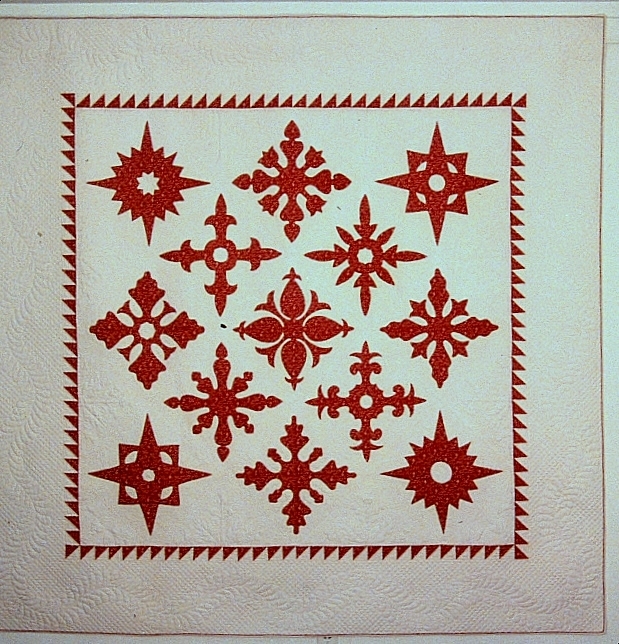 templates, and needles to help you make beautiful traditional quilts. ​to see the fun we had working with young people. Shown here are some of the quilts and smaller pieces I have made over the years. As you ​can see, this is traditional work, made by hand. ​I'm happy to share it with you here. 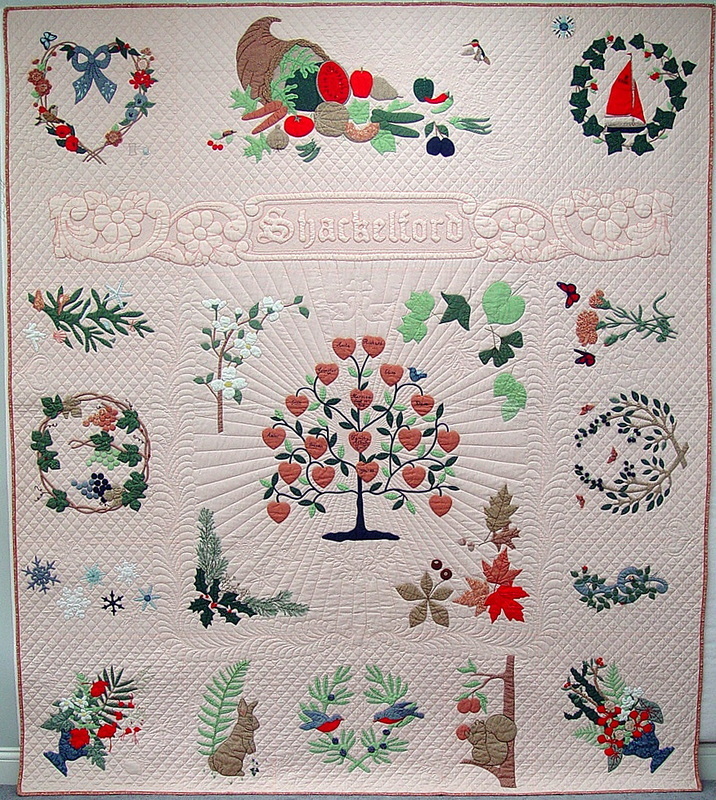 This album quilt of original patterns includes many designs that reflect our family life. The family tree is surrounded by four seasons. 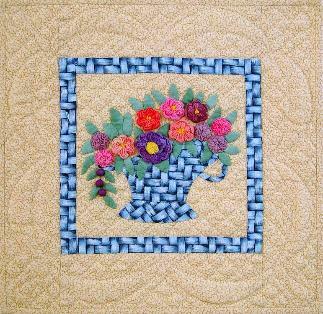 Outer blocks contain a sailboat, garden basket, favorite flowers and backyard animals. ​The family name is enclosed in a design taken from my grandmother's wedding bracelet. Most of my quilts have traditional roots, but I try to take the techniques beyond what has been done before to create something new. With this piece, I wanted to expand on the style of the whole cloth trapunto quilt. The fabrics were hand dyed in subtle gradations to give a richer look than all white. 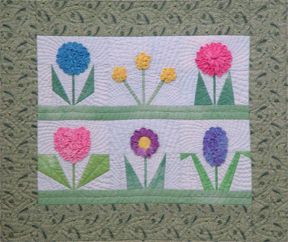 A fun quilt made with the same dimensional techniques that I use in my more traditional applique album quilts. 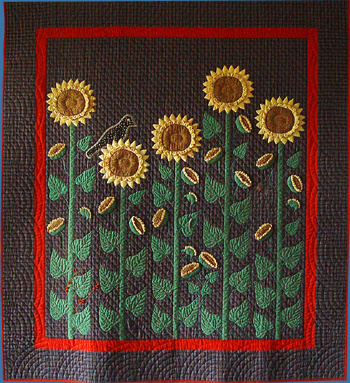 ​Life size sunflowers were made dimensional with padded applique and larger scale ruched petals. 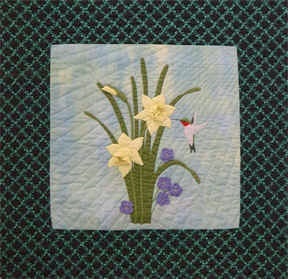 This is the second of two album quilts which I have made while experimenting with three dimensional applique techniques. 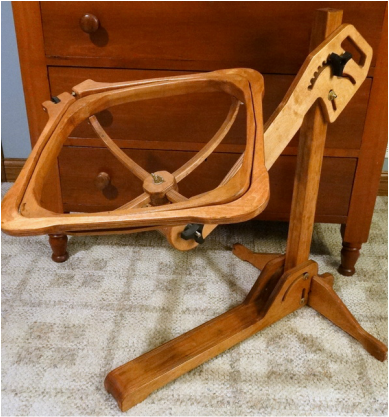 The designs are original and meaningful to my family. Our hands form the center block, the bow design was taken from a piece of my grandmother’s jewelry and silhouettes of my daughters were used for the vases which hold favorite flowers. 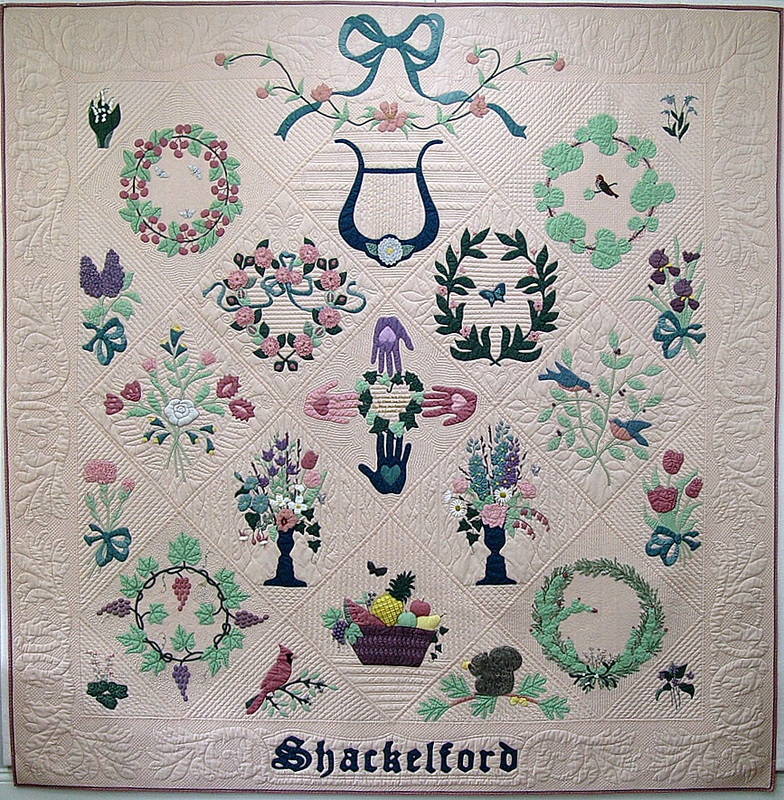 Special techniques used in this quilt include corded, padded and stuffed applique, embroidery, ruching, trapunto, embroidery, and stipple quilting. The ideas in these two album quilts formed the basis for my first book, Three Dimensional Applique and Embroidery Embellishment. 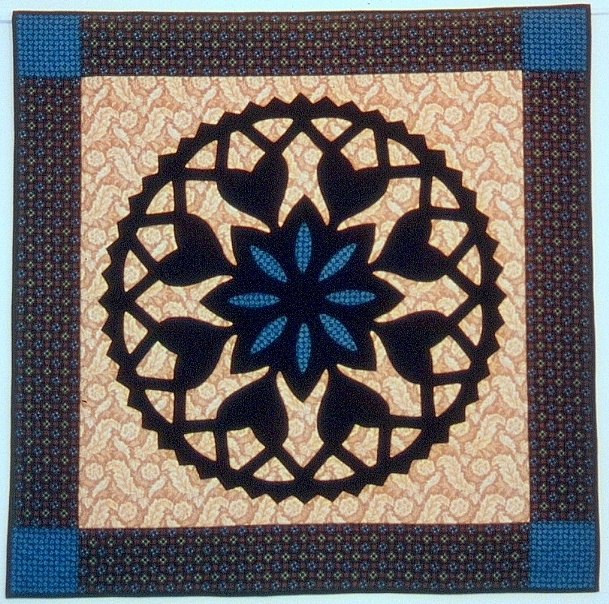 This traditional Lone Star with Broderie Perse applique began with the printed border fabric. Fabric was dyed for the background and coordinating prints were chosen to create a 19th century feeling. The flower arrangements were hand appliqued with a close blanket stitch using one ply of embroidery floss. The silhouette vases add a personal touch. 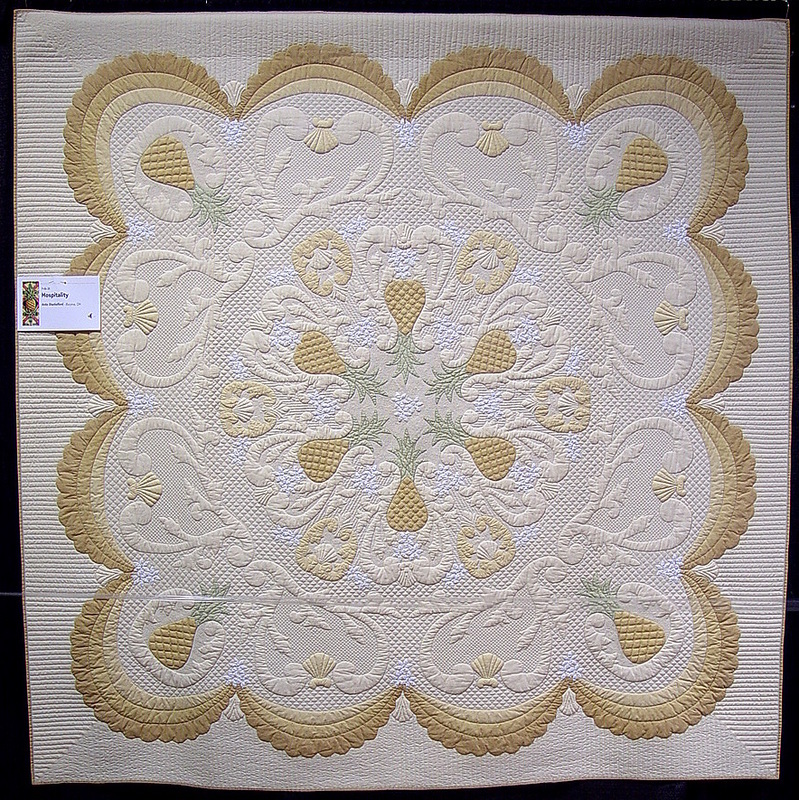 ​This quilt won a First Place ribbon at NQA 1994 and HM at AQS. of patterns known to have been made in 19th century Ohio. 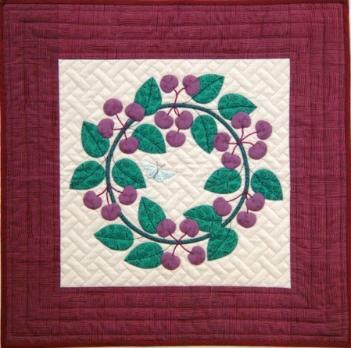 The designs were taken from quilts that belong to family and friends and from my own collection. 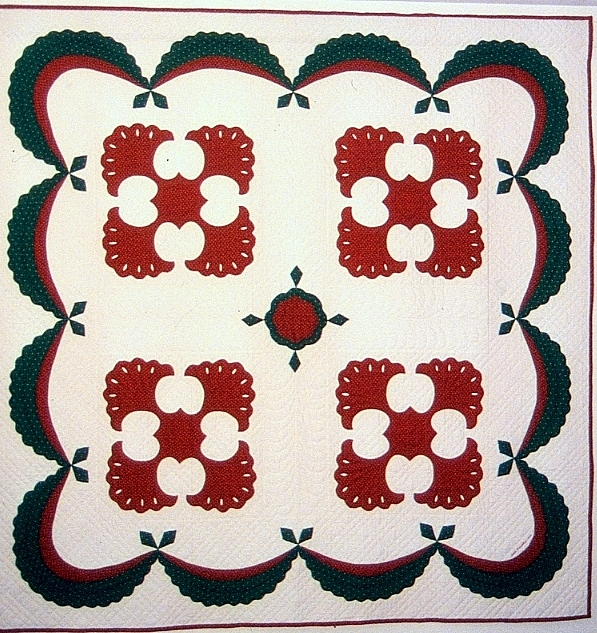 Others were found documented in literature as Ohio quilts. This is new work, but made from vintage print fabrics and hand-dyed solids to produce a 19th century look. 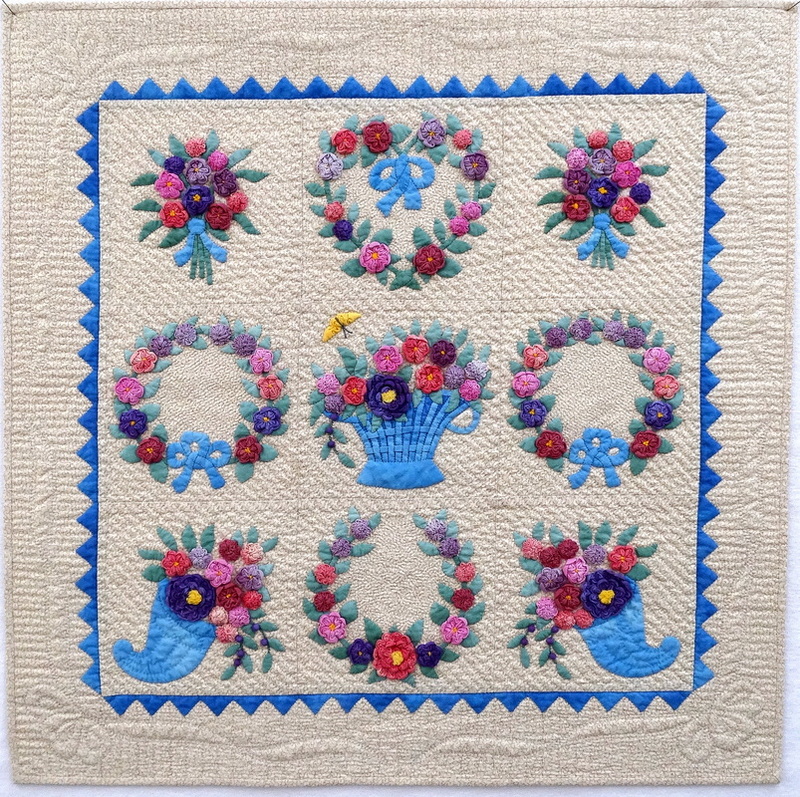 Blocks were hand appliqued by friends, many of whom are well known quiltmakers, across the United States and in Australia. 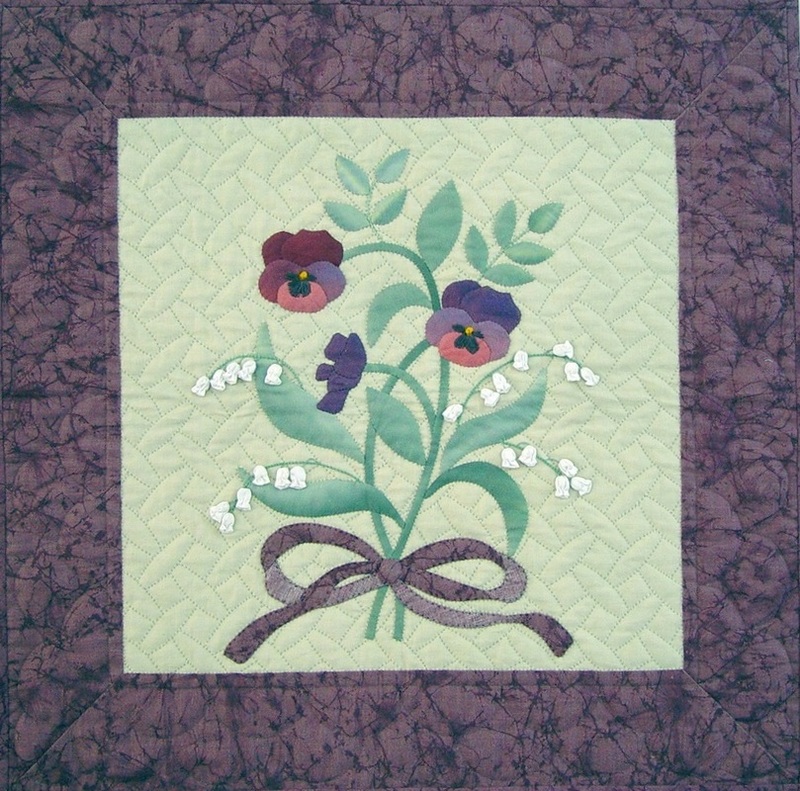 ​Set together and quilted by Anita. 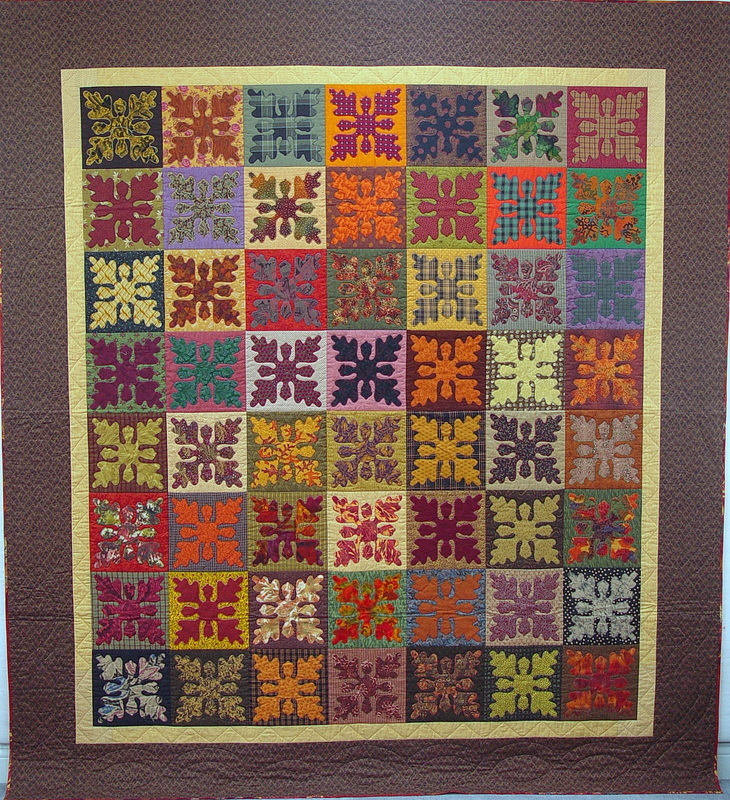 An original cutwork applique design made in colors to reflect the fall season, this scrap quilt contains 115 different fabrics. colored threads. 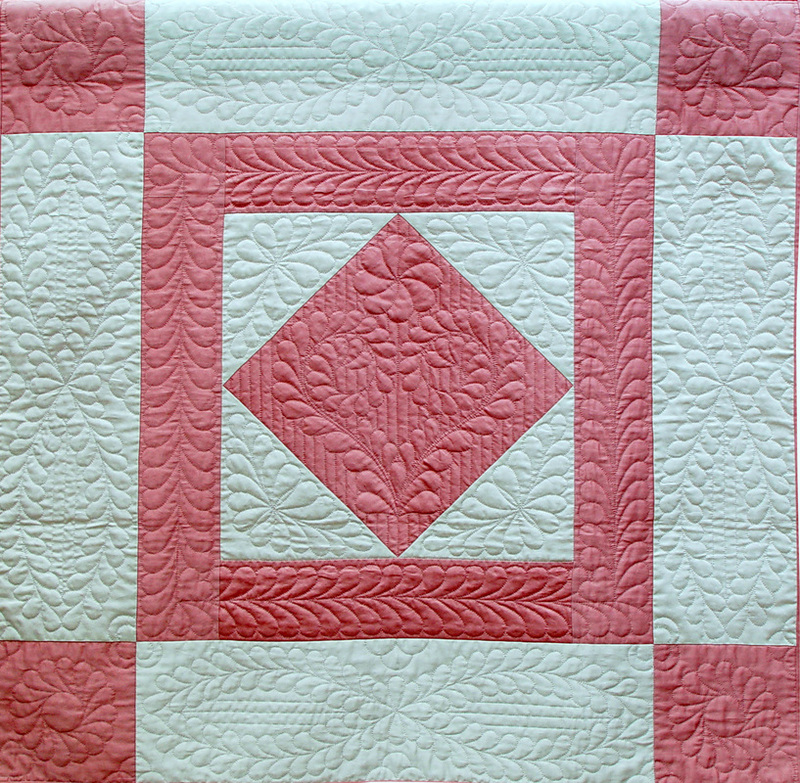 Hand and machine quilted. 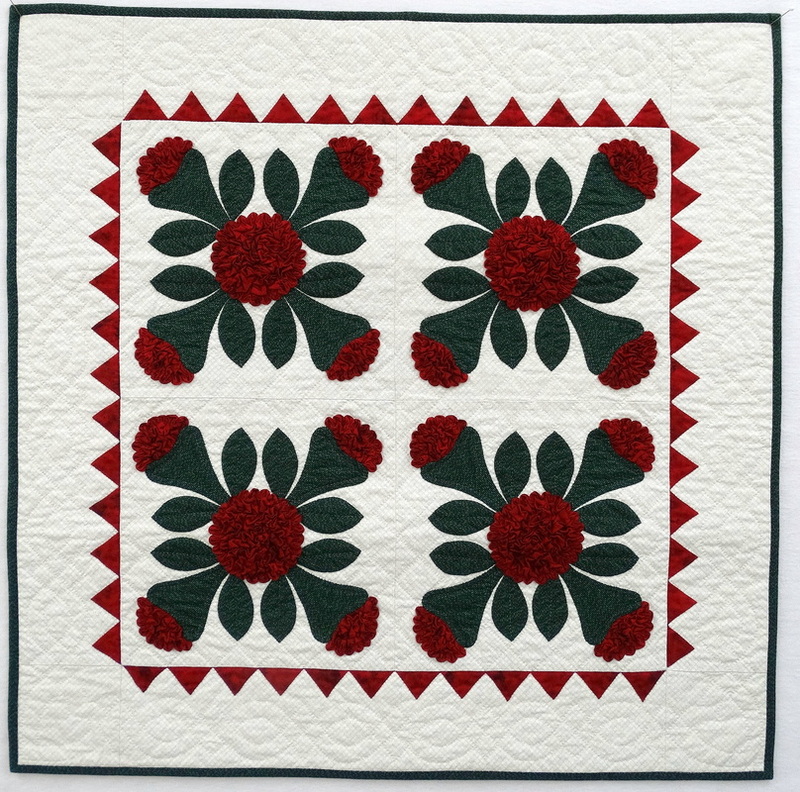 Red and green cutwork applique with a swag border. Pattern by Gwen Marston. ​Hand appliqued and hand quilted. 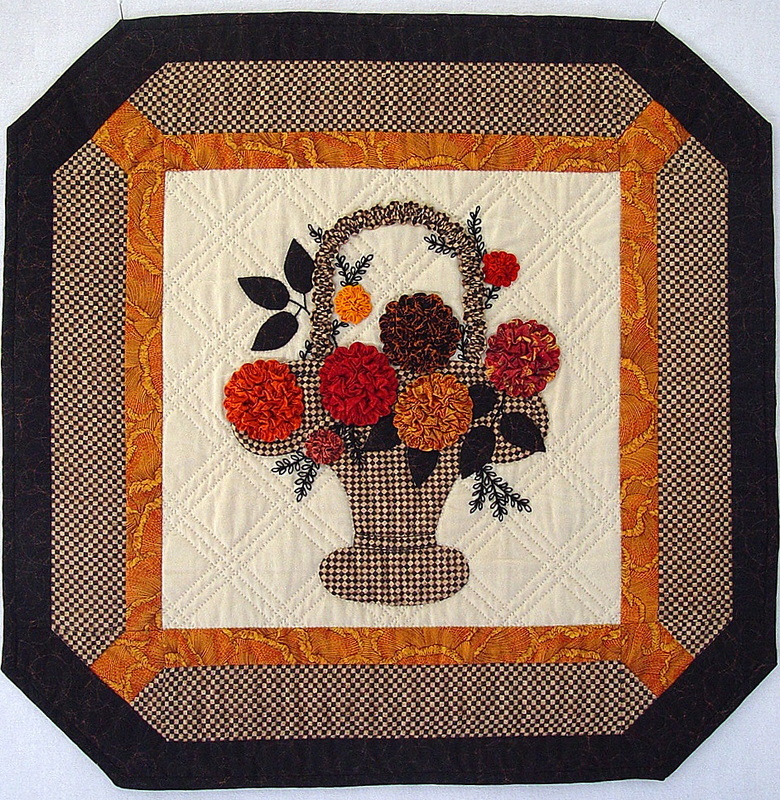 Another sample from Coxcomb Variations. 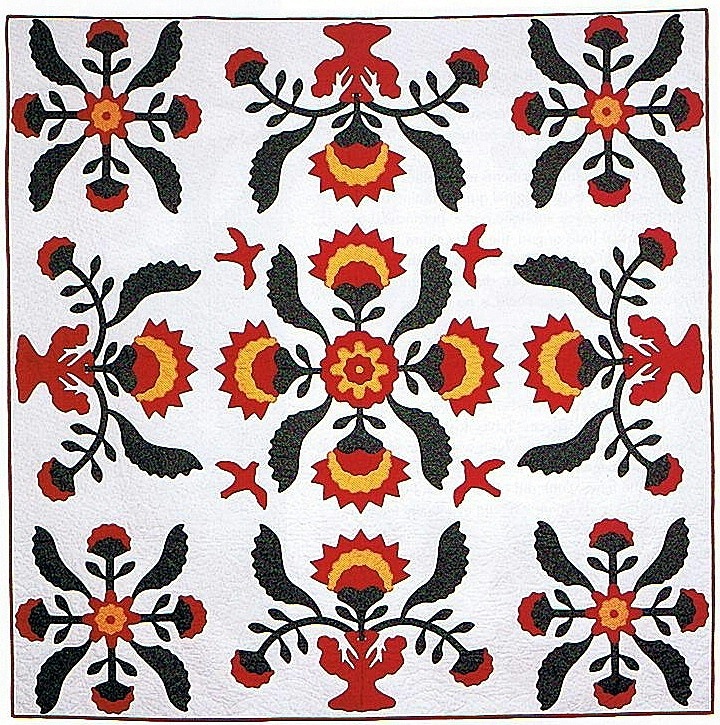 These designs were cut free-hand in the style of 19th century cutwork applique. Blocks are set on point and finished with a 2" sawtooth border and wide outer border. 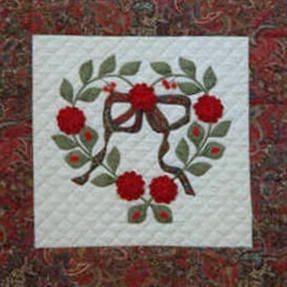 1/4" echo quilting surrounds the appliques. 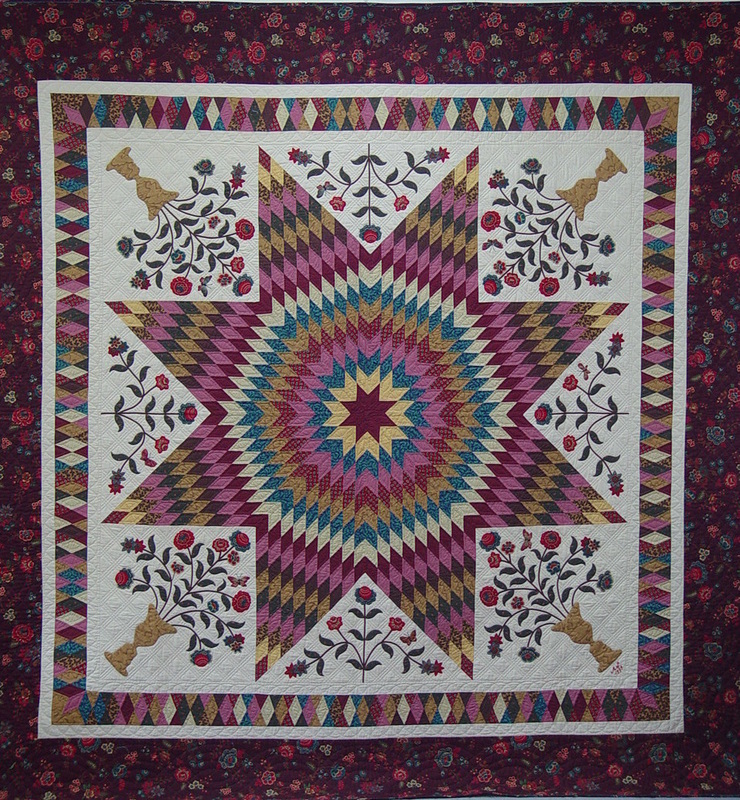 The border is quilted with a running feather and 1/2" crosshatch. 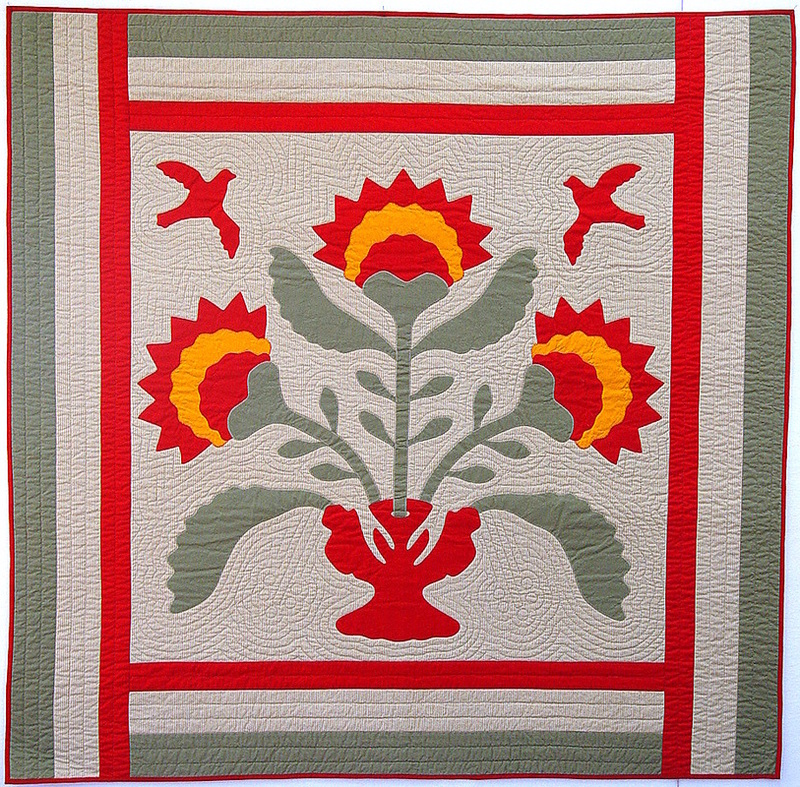 This quilt has received many workmanship awards, including the Mary Krickbaum award for excellence in hand quilting from NQA in 1990. 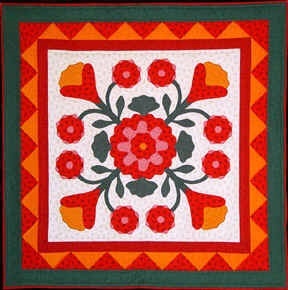 This quilt was on exhibit during the opening of the MAQS museum in Paducah. 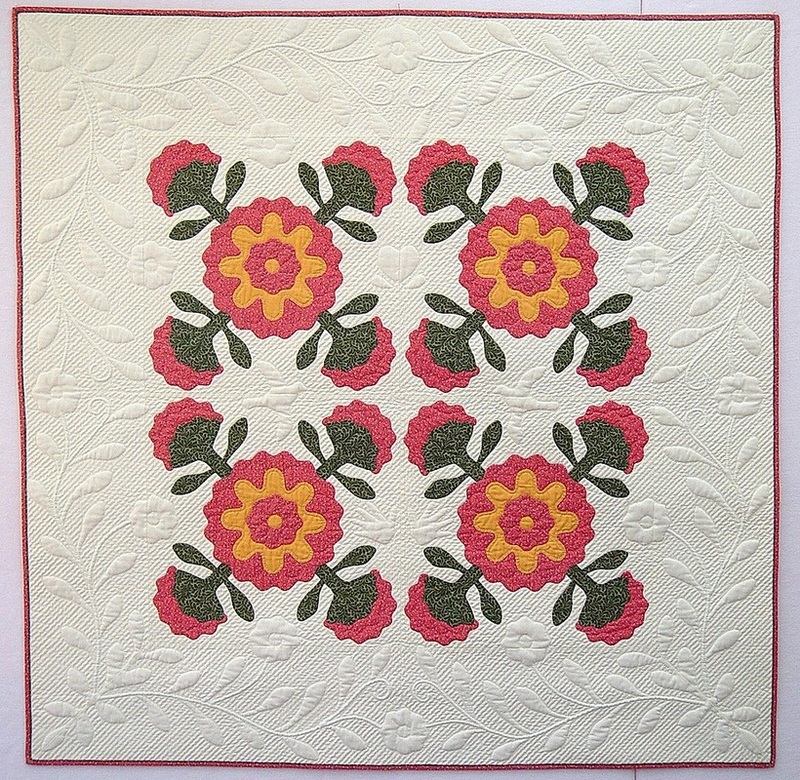 This quilt is a reproduction of a 19th century applique quilt which I bought at auction. Although much of the color was missing from the original, the strong red, green and orange colors are how I imagine it must have looked. 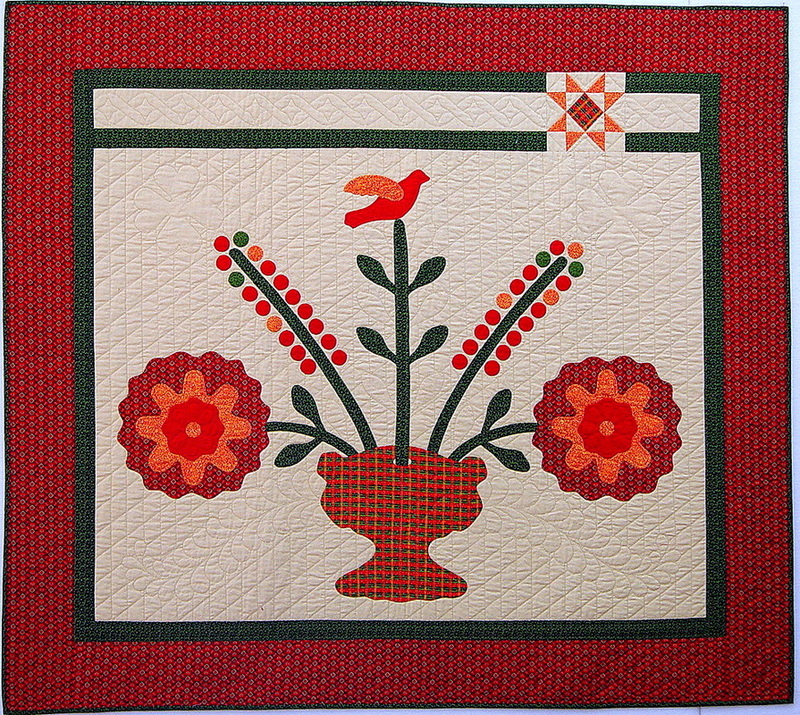 Folk art motifs are quilted into the background, much the same as in the original quilt. 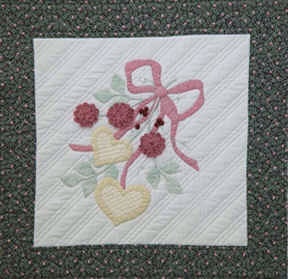 A legacy quilt made for my granddaughter, Amber, who shares my middle name of Rose. 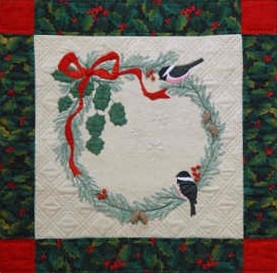 The quilt is hand appliqued with corded and padded work in the background and the borders. The small hands are from tracings of Amber’s hands at six months of age. A medallion quilt made for my grandson, Brandon. 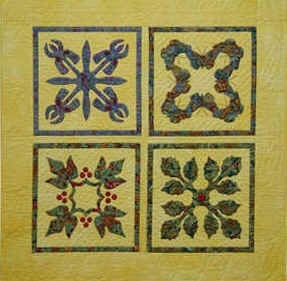 It includes a variety of border styles. Motifs include simple toys, an eagle for strength and courage, and symbols of nature and the great outdoors - things that a little boy’s dreams are made of. 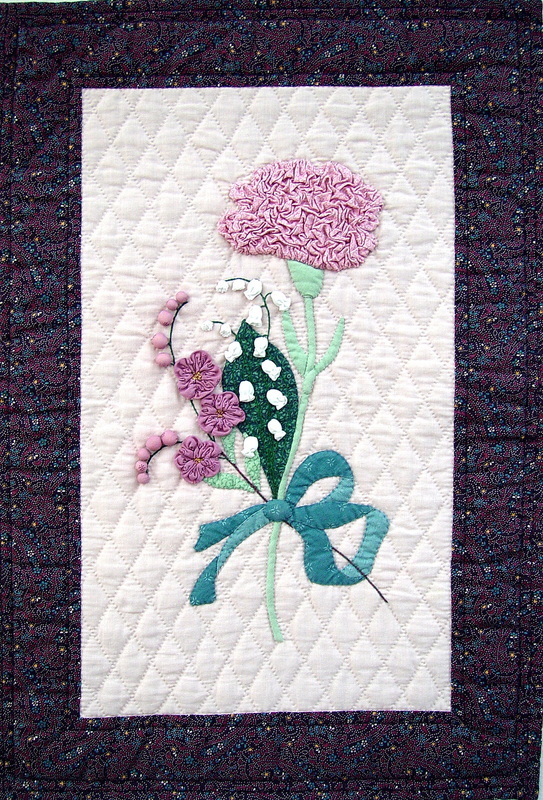 Hand appliqued, hand quilted. 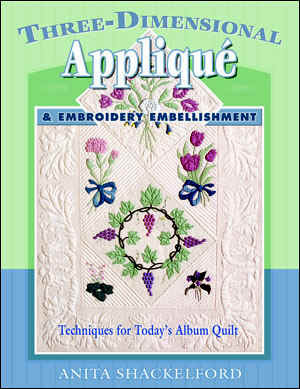 Included in Applique with Folded Cutworkbook.